Sending your book to iTunes is one way of transferring your book from the iPad to your computer. Not to be confused with publishing to the iBooks Store (or iTunes Store, as it's sometimes known), or sending your book to the iBooks app; sending your book to iTunes is a quick and easy way to get your ePub file onto your computer. It also works for transferring the book as a PDF. Note: You can store up to 10 books at a time in the iTunes App File Sharing library. From the My Books screen, tap the export icon beneath your book and choose ePub or PDF (note, you can even use this option for exporting as video). Tap the Send to iTunes icon from the list of available options. When the export is complete, you'll see a dialogue box with instructions on what to do next. Once you've connected your iPad and opened iTunes, click on your iPad and click on the File Sharing section in the left hand menu. Click on Book Creator and you'll see the files you've shared to iTunes - you can then highlight the file, and click on the Save to... button to save it to your computer. 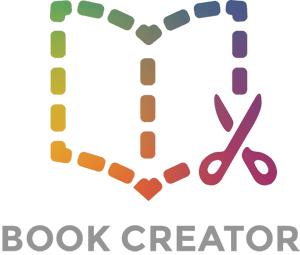 Bonus: You can also put ePub files in here and then open them in Book Creator (provided they were originally made in Book Creator). Click the Add... button and it will be added to the library. Then, in Book Creator, click the + button, choose Import Book and then choose Copy from iTunes.